No more quarters, no more coin hassles- it’s a whole new world of laundry payment systems. We connect you with the most advanced technology on the market today for coin-operated laundry, route, apartments, dormitories and other vending applications new ESD MoneyCard, or upgrade your existing system! 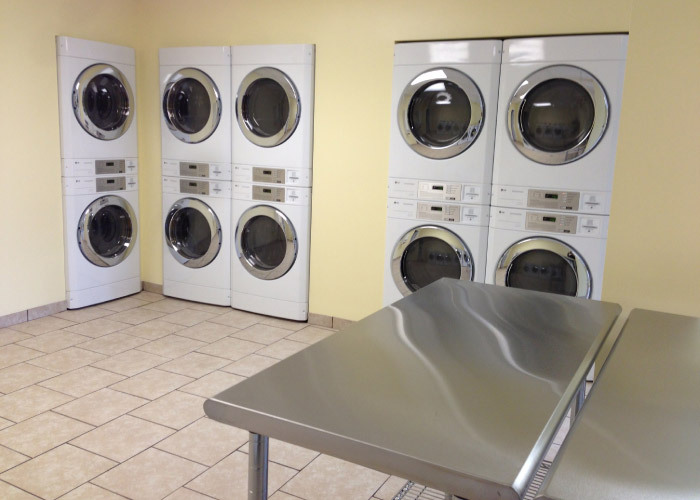 Your customers will never go back to coin operated laundry…It’s sophisticated appearance and simple operation will enhance any laundry! Card systems are as easy to use as an ATM and as fast as paying at the pump for gas. Also, card systems are made for any brand of commercial laundry equipment and for many types of vending, arcade, and other vended machines so you can convert your existing coin-operated business into a card-operated business! Customer Loyalty -With value left on the card and the ease of use, the end user has no choice but to come back to your store. To SaveMore and Make More!